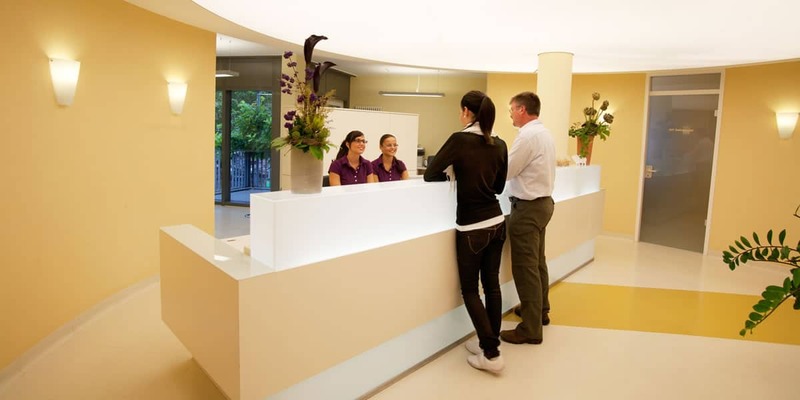 In our clinic, you will find a highly qualified team delivering the best possible treatment results for our patients. Many other fertility clinics work like this. However, we are different from the others in some respects. We want to make you feel at home and well-treated. Currently we are six doctors each with the experience for many years in the field of infertility treatment. Despite our individual experience, we believe very much in the ongoing professional exchange of ideas. And of course it is you, our patients, who will benefit most from this exchange. We take time to consider your special situation as well as your feelings and questions – therefore, your first visit may take up to an hour. Take your pick from our medical team – may be, someone recommended a particular doctor to you. Naturally you can change between team members any time; just tell us. We are open nearly all year round – we only take a break between Christmas and New Year’s Eve. You will always be treated by “your personal doctor” if you so wish except on weekends/bank holidays or in the absence of your doctor, when you will be seen by whoever is on duty. Fertility therapy can sometimes be time-consuming and difficult to balance with your job – we know that and will try to offer you suitable appointments also before or after your working day. For this reason, our opening hours are very generous and patient-friendly. Waiting times in our clinic are kept to a minimum by careful scheduling. In exceptional cases, you may have to wait half an hour for your appointment. IVF lab are just as decisive for outstanding treatment success. All our IVF lab workers have many years of experience and a lot of routine in handling egg and sperm cells. Please do not hesitate to ask our lab workers any time if you have any queries. We want our patients to be fully informed and are transparent about everything we do. In order to live up to our high quality standards and to promote continuous improvement, we are also engaged in a constant external quality assurance process. Our quality management system has for years been reviewed by the TÜV Süd and certified according to the current standard DIN EN ISO 9001:2015.